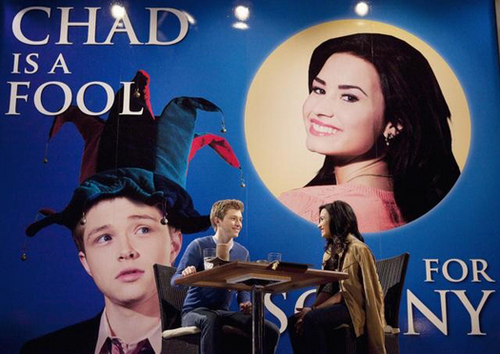 Sonny and Chad. Sonny and Chad Falling for the Falls part 2. Wallpaper and background images in the Sonny With A Chance club tagged: sonny with a chance sonny munroe chad dylan cooper. that really sweet but really get a bilboard for sonny? Kalfire1: Yeah!! XD he really is in love with her!! i luv it! Chad loves himself and will fire anyone who makes fun of him so that he willing makes a fool of himself (literally) is beyond romantic. If you look closer she has a jacket around her shoulders and i bet thats his! Its just so cute and romantic!